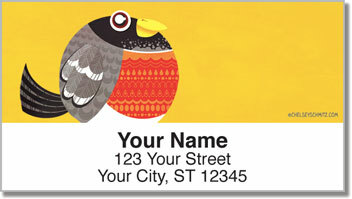 You'll love the bright colors and unforgettable characters of Artist Chelsey Schmitz. 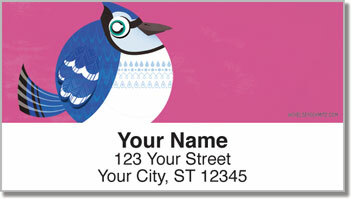 In these Round Bird Address Labels you can see every part of her style which makes her so distinctive. From their tiny eyes to their huge, rounded bellies, how can you not feel happy when you see them? 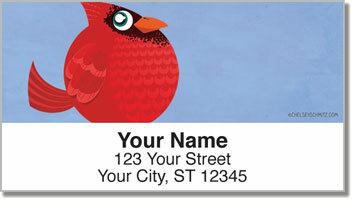 As an added bonus, these labels have a self-adhesive backing making them stick to just about any surface. 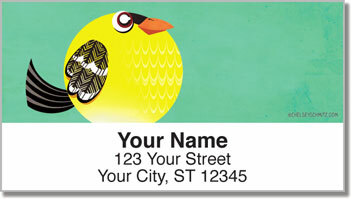 You're sure to save lots of time on your mail, not to mention the added value of a personal touch.